Businesses, both big and small, need access to capital to achieve their objectives. That is why many companies rely on business construction loans to fill the gap between their available cash flow and funding needs. Business acquisition & development loans, or A&D loans, are a specific type of business loan that are used to provide the capital needed acquire land for development and construct on-site improvements. Learn more about business constructions loans and how they can provide your business with the funding you need to meet your acquisition and development goals. 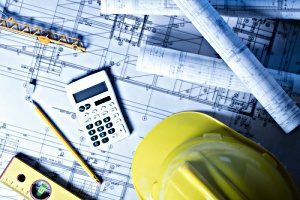 What Does a Business Construction Loan Cover? A business acquisition & development loan is a loan used in part to purchase property for development. Other costs associated with this type of project in addition to the cost of the land include the hard costs for horizontal improvements and soft costs like sales commissions and interest reserve. Business acquisition & development loans can provide the capital you need to cover a wide range of site improvements, such as sewer and water lines, site grading and drainage, installation of utility lines, street paving, gutter and sidewalk installation, and the construction of possible storm collection boxes. How Does a Business Construction Loan Work? Financing your land development project is crucial for a successful outcome and favorable company growth. Certain types of business construction loans such as business acquisition & development loans make it possible for businesses of all sizes to get the funding they need to cover the costs of land development projects. While the terms can range from lender to lender, most require a minimum cash contribution of around 25 percent of the total land development project cost. If you want to obtain a single loan for the purchase and development of a residential or commercial property, a business acquisition & development loan may be right for you. However, not all businesses are eligible for this type of loan due to strict qualification requirements. 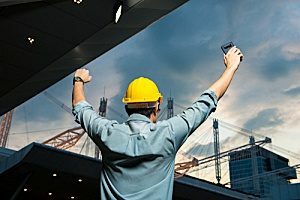 Lenders who provide business construction loans typically have similar criteria that they follow when evaluating a potential borrower. One of the most important qualifiers is credit. To get a business acquisition & development loan, the borrower must have decent credit. Most institutions are willing to work with borrowers with credit scores of 650 and up. You will also need a signed letter of intent given to the seller which states the proposed terms for the business acquisition. This letter of intent is a strict requirement if you want a term sheet. To avoid problems from arising if you are not able to acquire funding later on, be sure to put a clause in the letter that states that your offer is contingent on receiving financing. This will allow you to make an offer to the seller and still have the means to get out of the contract if the funding falls through. This type of clause is highly common in business acquisitions. To qualify for a business acquisition & development loan, you will also need to provide a range of documents, including information about the key individuals in the business, guarantors, and all relevant financial information about your business. The details that you provide help determine your creditworthiness and repayment ability. To show your financial status, you may be asked to provide up to three years of personal or corporate tax returns, as well as three years of financial statements from your business. Most lenders ask for balance sheets, profit and loss statements, and cash flow statements. What Are the Benefits of A&D Loans? Many businesses find that growing their company through acquisition is a faster, more affordable, and far less risky option then expanding through traditional methods. Business acquisition & development loans offer a number of benefits, including the ability to access financing easier with future undertakings. In addition to a speedier process, acquisition can help companies gain new resources and competencies which can result in immediate increases in revenue. An acquisition is also an effective way to build market presence for your business and help level the playing field among your competitors. 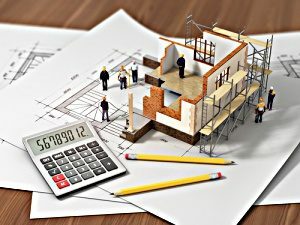 While you may know that a real estate development project will earn you major profits in the long run, it is also important to realize that these types of projects require a substantial investment in both time and money. Many developers rely on business acquisition & development loans to get their projects underway. Even if you have the cash flow to start the job, you may find it more advantageous to take out a loan and preserve your cash flow. Contact a professional banker at FVCbank to learn more about business acquisition & development loans and see if you qualify.